T-Mobile's Q4 results are in, and the carrier marked a slight 5.2% dip in revenue, compared to the same quarter the previous year, down to $4.9 billion, but still up for a second consecutive quarter. The growth stemmed mainly from the Monthly4G plans and prepaid customers, meaning that contract subscriptions went down to to $3.4 billion - a 13.9% year -on-year drop. The company marks its "bring your own device" project a success, with about 100,000 new iPhone activations per month from it. MVNO customers increased 275,000 in Q4 - a number that was in the five digits before. T-Mobile finished 2012 on a strong note, providing a foundation for executing even bigger game-changing moves in 2013. As the ‘Un-carrier,’ our promise is simple. You will see us put customers at the center of everything we do going forward, and that means giving them fair and simple wireless experiences in a way that other carriers never have before. BELLEVUE, Wash.--(BUSINESS WIRE)--As T-Mobile USA, Inc. (“T-Mobile”) closed out its fourth quarter, the Company continued to generate business momentum by executing its Challenger strategy, while laying the groundwork for its unique ‘Un-carrier’ initiatives aimed at changing the rules of wireless. Evidence of this continued momentum is clearly demonstrated by fourth quarter results, which include an increase in net customers, a year-on-year reduction in branded contract churn, an agreement with Apple to bring products to market together in 2013, a transition to more customer-focused Value plans and an accelerated network modernization program. As part of the Company’s ongoing commitment to provide customers with a game-changing network experience, T-Mobile has completed technology enhancements to improve its network voice and data coverage in 49 metropolitan areas, enhancing the already powerful 4G experience that it currently delivers. Today, T-Mobile announced that it has completed upgrades in several new metro areas, including Orlando, FL, Ann Arbor, MI, and Richmond, VA. The Company’s HSPA+ network currently serves 225 million people nationwide, with 142 million people covered by 4G on 1900 MHz spectrum. 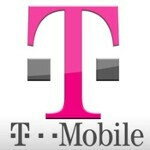 T-Mobile is also accelerating the launch of its Long Term Evolution (LTE) service and will now reach 100 million people with LTE by mid-2013 and more than 200 million people with LTE by the end of the year. LTE networks have been completed in Las Vegas, NV and Kansas City, MO and are ready for customers as LTE devices launch in 2013. T-Mobile continues to offer a wide selection of popular Samsung smartphones, including the Samsung Galaxy S® III, Samsung Galaxy S® II and the Samsung Galaxy Note® II. The Company’s product lineup will be further enhanced when it begins offering Apple products this year. For more detailed summary of T-Mobile’s fourth quarter 2012 financial results including selected data tables and definitions of terms, please see the separate financial results release. This news release includes “forward-looking statements” within the meaning of the Private Securities Litigation Reform Act of 1995. The statements in this news release regarding the business outlook, expected performance and forward-looking guidance, as well as other statements that are not historical facts, are forward-looking statements. The words “estimate,” “project,” “forecast,” “intend,” “expect,” “believe,” “target,” “providing guidance” and similar expressions are intended to identify forward-looking statements. Based in Bellevue, Wash., T-Mobile USA, Inc. is the U.S. wireless operation of Deutsche Telekom AG (OTCQX: DTEGY). By the end of the fourth quarter of 2012, approximately 132.3 million mobile customers were served by the mobile communication segments of the Deutsche Telekom group — 33.4 million by T-Mobile USA — all via a common technology platform based on GSM and UMTS and additionally HSPA+ 21/HSPA+ 42. T-Mobile USA’s innovative wireless products and services help empower people to connect to those who matter most. Multiple independent research studies continue to rank T-Mobile USA among the highest in numerous regions throughout the U.S. in wireless customer care and call quality. In order to provide comparability with the results of other U.S. wireless carriers, all financial amounts are in U.S. dollars and are based on accounting principles generally accepted in the United States (“GAAP”). T-Mobile USA results are included in the consolidated results of Deutsche Telekom, but differ from the information contained herein as, among other things, Deutsche Telekom reports financial results in Euros and in accordance with International Financial Reporting Standards (IFRS). Sales of the Galaxy S3 and Galaxy Note 2 as well as the Lg Nexus 4 went very well. Now with the unlimited data on contract as well as off contract things will pick up much more. With the Htc One, BlackBerry 10, Galaxy S4 on the way the first half of 2013 will be crazy at Tmobile. HSPA+ is actually very good. Speeds rival Verizon LTE in some areas. T-Mobile's only issue is coverage. There are a bunch of notable holes, such as major interstates with 2G coverage except near larger cities. But stay within their coverage zone, and you have good speeds at a fantastic price. Verizon gives you outstanding coverage with questionable update policies and very high prices. Good, keep that mentality. Let the rest of us have the bandwidth and cheaper service to boot. LTE is already up and running in some markets on Tmobile and it will have a national launch shortly. I'll take LTE-10 with a 42mb/s backhaul for $70 a month unlimited with no caps or throttles, vs ATT or VZW's $140 a month with overages, non LTE-10, and super duper slow CDMA 3g backhaul or ATT's 12mb/s GSM backhaul. Half the price, twice the speed. Kinda makes you sound like a dullard. Those are very good facts. Customers pay for coverage also, alot of the tech stuff goes out the window to most people... T-Mobile has improved, but has a long way to go. @Mr.Mr You are absolutely correct, Verizon over all has the best network, at a price. However, my problem with Verizon and AT&T is as follow, if Im paying $70/month, why do I still have to count minutes and SMS, and the share plans are just a joke. Here's were T-Mobile or/and straight talk come in, $45/month Unlimited voice, text, and 5gb data, enough to meet my needs. Is tmobile perfect, heck no, but they are on point 99.5% of the time in my area. Paying $90 and upwards for a "cell" is just pure foolishness. Verizon Blows!! Big Rip-OFF company. AT&T good. N4 is very underrated. I hope s4 lives up to the hype..u think? The problem with Tmobile is there coverage. I live in a Tmobile 4G town but there is no 4G in my part of town. My neighbor has a S2 on Tmobile and it data speed is slow. He can't get 4G in his house. Also, After you leave city limits the coverage map is white or 2G. I'm still rooting for Tmo, always have. No one comes in close in terms of prepaid market to T-Mobile. If people want their data plan with limits and outrageous bill that includes their subsidized device prices with 2 year in jail with 1 phone at Verizon or AT&T, then so be it. I don't deal with that crap.